This book is a clear and accessible introduction to the writings of Helene Cixous, novelist, dramatist and critic, whose work has had a major impact on feminist theory and practice. Susan Sellers, a major scholar on Cixous, provides a lucid account of Cixous's theoretical position, and in particular her distinctive theory of an 'écriture féminine'. She discusses the development of Cixous's literary oeuvre in the context of this theory, and analyses a selection of the works in detail to illustrate the different stages in Cixous's writing career. Focusing on the key novels and plays, Sellers explores a range of issues and themes central to her work; the correlation between the death of Cixous's own father and her 'coming-into-being' as a writer; the psychological process of separation and individuation and the creation of a female authorial self; the discovery of the other and the dramatization of love; the delineation/depiction of an alternative form of relationship between self and other which would have a significance in a wider sphere than that of the merely personal. This much-needed book will be welcomed by students in literature and literary theory, feminism and women's studies, English and French studies and philosophy. Susan Sellers is a British author, translator, editor and novelist. She is Professor of English and Related Literature at the University of St Andrews, and co-General Editor of the Cambridge University Press edition of the writings of Virginia Woolf. 2. Creating a Feminine Subject. 3. Writing with the Voice of the Other. 4. Cixous and the Theatre. 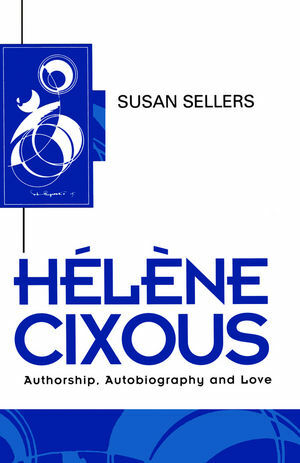 "Sellers' book operates best as a general introduction, differing from existing introductory studies, by not only following a particular trajectory in Cixous's work, but also including sustained analyses of her fiction and her writing for the theatre...The format Sellers chooses...brings welcome clarity to the complexity of Cixous's prolific oeuvre...Sellers has a thorough knowledge of Cixous's work and her readings do full justice to its richly connotative poetical language, to its themes which impact on personal, political and ethical issues, and to the open-ended nature of the texts wherein, to my mind, lies Cixous's real generosity as a writer." * This book offers a comprehensive introduction to the work of Helene Cixous, which will be accessible to students as well as researchers. * It provides a detailed exposition of Cixous's theoretical position, paying particular attention to her fiction and drama. This focus is what makes the book distinctive. * It will be welcomed by a broad audience working in literature/literary theory, philosophy, French studies, and women's studies and feminism.